Shropshire suffered a wasted trip to the north east as their second Knockout Trophy group game against Northumberland was washed out without a ball being bowled in Newcastle. Following last weekend's opening Group Three victory over Lincolnshire, the Shropshire players spent the day sat in the pavilion at Jesmond. Shropshire skipper Richard Oliver made 148 in his team's opening four-wicket Knockout Trophy win against Lincolnshire. Shropshire now face a home game with Cheshire at Oswestry this Sunday. Their final group game is against Cumberland at Cockermouth on 25 May. Shropshire, beaten by Berkshire in last year's final at Wormsley, had one new face set to make his county debut, Shrewsbury fast bowler Sam Griffiths. He will now have to wait until Sunday's game at Morda Road against a Cheshire side who beat Cumberland in their opening group game. 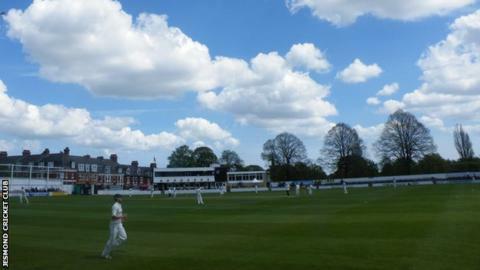 The most frustrated of all Shropshire's players at Jesmond was skipper Richard Oliver, who had the longest wasted trip. Oliver, who now plays his club cricket for Reigate Priory in the Surrey Premier League, had to fly from Heathrow to Newcastle on Saturday night, to ensure that he would be there in time for the game.